When you walk into the chapel of Trinity College Cambridge, you find yourself face to face with some of the greatest figures in UK history. Statues of the college’s most famous alumni stand near the entrance, among them Sir Isaac Newton and Alfred, Lord Tennyson; and the cool marble and warm wood of the chapel creates a glowing ambience in which the institution’s internationally celebrated choir rehearses and performs the music of composers such as William Byrd, Thomas Tallis and Henry Purcell – and many more. If Trinity’s past is top-notch, so is the present. State-of-the-art technology now makes it possible for the choir to webcast its performances live online; and its recordings, too, are made here, allowing the choir to be heard in commercial releases that capture the purity and richness of its sound and the atmosphere of its home enviornment. The choir’s director, Stephen Layton, has an unrivalled reputation among conductors from the British choral tradition; indeed, you quickly realise that when he says that this music gives him “a reason to live”, he is not exaggerating. Born into modest circumstances on a council estate, Layton became a chorister at Winchester Cathedral as a young boy; later he won a full music scholarship to the famous Eton College and thence became organ scholar at King’s College, Cambridge. Relatively unusually, Trinity College’s choir of 30-odd students and young choristers includes girls as well as boys; and the selection of new students to join the ensemble depends, Layton says, on their mental agility, their commitment and their willingness to learn. Touring Australia with an ensemble of 30 young people might sound like a logistical challenge, but Layton’s enthusiasm proves that there is plenty to thrill them. “For some, it will be the first time that they’ve gone that far away from home. And I think for people from the UK there’s definitely a sense of wonder and excitement about travelling to that part of the world, certainly for a young person going for the first time. It doesn’t get much better than staring out from Circular Quay into Sydney Harbour. The choir’s eclectic programme extends from the great Renaissance works of Byrd and Tallis through Purcell, Elgar and Herbert Howells to the substantial Mass by Frank Martin, which forms a centrepiece; then there are contemporary works by such luminaries as Arvo Pärt, Ēriks Ešenvalds, Einojuhani Rautavaara and Eric Whitacre, a specially commissioned piece by the Australian composer Joe Twist, and one by Trinity College’s young organ scholar, Owain Park, who, remarkably, already has a publishing contract with Chester Novello. Perhaps it is the line over the ō that first suggests the Ensō String Quartet is not quite like any other chamber ensemble. From its home base in New York City, the rise and rise of the group and its reputation has been attended by much excitement, with The Strad magazine declaring it “thrilling” and the Washington Post praising “glorious sonorities”. And its name unites the four players via the symbol not of a person or place, but of an ideal. The ensemble – Belcher, violinists Maureen Nelson and Ken Hamao and violist Melissa Reardon – between them boast roots from many corners of the globe; Belcher is from Christchurch, New Zealand, while Hamao is Japanese-American; Reardon’s mother hails from the Philippines and Nelson is half Korean. The original four met as students at Yale University and formed their quartet in 1999; Hamao joined as second violinist more recently, a process they describe as “remarkably smooth”. Alongside this, they will play the Beethoven ‘Harp’ Quartet, Op. 74 – “the most stunning, inspirational piece, with an epic quality to it,” says Belcher. One programme matches music by the Spanish composer Turina with a quartet by Ginastera, one of Argentina’s leading 20th-century figures – Nelson describes the latter as resembling “south-of-the-border Bartók”. The second programme features an arrangement by Nelson herself of music from the Renaissance era: “I love playing early music, but the string quartet repertoire doesn’t have any,” she points out. The line-up concludes with the exquisitely beautiful sole quartet by Ravel. In Zen Buddhism, an ensō is a hand-drawn circle expressing the moment when the mind is free to let the body create. This is the challenging paradigm chosen by an extraordinary American ensemble to exemplify its performances. We first invited the Ensō String Quartet to visit Australia in 2012 to attend the Huntington Estate Music Festival. 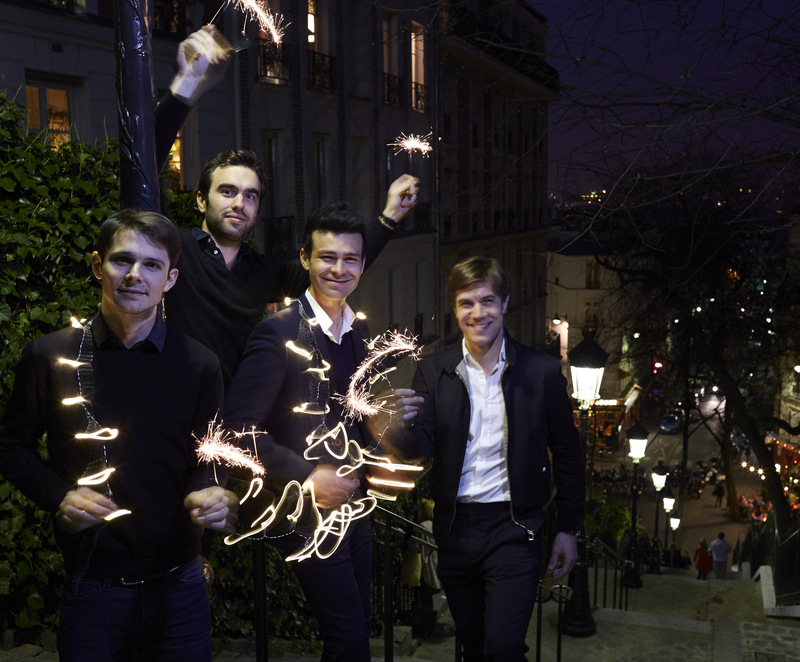 Its festival performances were so exhilarating that we immediately asked the quartet to return for its debut national concert tour, which runs from 30 May through to mid July. The Ensō Quartet received its first Grammy Award nomination for an album of music by Alberto Ginastera, so it seemed appropriate to include that fine composer’s second string quartet in the first tour program, forming a little Hispanic enclave alongside Turina’s Serenata for String Quartet op 87. The second program features Ravel’s peerless String Quartet of 1903, introduced by a Renaissance medley arranged by the group’s first violinist, Maureen Nelson. The first half of both programs concludes with Beethoven’s masterful and optimistic ‘Harp’ Quartet Op 74, which the group’s cellist Richard Belcher calls “the most stunning, inspirational piece, with an epic quality to it”. The centrepiece of this tour for me, however, is the work that opens every concert – new music by celebrated Australian composer Brenton Broadstock written expressly for this purpose. ‘Safe Haven’ is a reflection on the true story of a child refugee fleeing wartime Hungary to seek sanctuary in Australia. It is a set of variations on a popular Hungarian nursery song, set in three sections – Escape, Through A Child’s Eyes and Safe Haven. The end of at least this one particular refugee story is a happy one. Stephen Hough is a familiar visitor to Australia’s concert halls – and this much-loved British pianist has a fascinating story to tell about his own Antipodean roots. But then, everything about Hough is fascinating. He explores a vast range of repertoire, records prolifically for the Hyperion label and enjoys lively chamber music relationships with such artists as the cellist Steven Isserlis, with whom he has toured twice for Musica Viva. His artistic activities extend to composition, painting and writing – he has been named one of ‘20 Living Polymaths’ by The Economist – and he is now working on a novel. Indeed, he has evolved almost accidentally into the modern-day equivalent of the great “golden age” composer-pianists of the past. Hough’s programme for his Musica Viva tour includes his own latest piano work, the Sonata No.3, ‘Trinitas’ – which follows in his output hot on the heels of two other sonatas, the first of which was co-commissioned by Musica Viva, the Wigmore Hall in London and the Louvre in Paris. Initially, he says, he had not been eager to write music to perform himself – but gradually this outlook has altered. “What’s funny is that I hadn’t been planning to do that,” he says. “But the commission of the Sonata No.1 started me off, and I think I got over that point.” He enjoys the fact that other pianists are playing his works now, but he also likes “having control over the performance myself”. The Sonata No.3 qualifies as an Australian piece, he half-jokes, because he has an Australian passport. He grew up in Cheshire in the north of England and discovered his Australian connection relatively late. “My father was born in Australia,” he explains. “His parents were married in India, where they were involved in the steel business in India; they then went to Newcastle, New South Wales, where the Australian steel industry was based. My father was born in 1926, and then my grandmother took him back to India after a few months. He never saw his father again. His father tried to correspond with him, but his mother intercepted the letters and they did not make contact until much later. In the new sonata, commissioned jointly by the Catholic magazine The Tablet and the Barbican Centre, Hough – whose Catholic faith is a driving force in his creativity – has been inspired by the symbolism of the number three and what he sees as the parallel dogmas of the Trinity in the church and of 12-tone serialism in music. It forms part of a programme that begins with Schubert’s A minor Sonata D784, one of the composer’s most concentrated and tragic piano works. “The whole first half is a progression from darkness to light,” Hough says. “In the Schubert there almost isn’t any light at all. Even when it goes into the major, it’s more heart-breaking than it is in the minor. Then the Franck Prelude, Chorale and Fugue is an incredible, deep-suffering piece that, at the end, has an amazing opening-out: you really do come out of the darkness. Australia has played a special part in the life of the Eggner Trio. Ever since its 2003 victory at the Melbourne International Chamber Music competition, the trio has made regular journeys Down Under. On almost every trip, Australian repertoire has played a central role in the group’s repertoire. For 2015, the brothers have chosen Dulcie Holland’s 1944 trio. “We played Ian Munro’s trio last time, and he said that we should check out Dulcie Holland. We listened to many different composers, and finally we were so fond of Dulcie Holland, because it’s a really good composition. It’s one big impressionistic crescendo. The idea of one woman composer lead to thoughts of another; Clara Schumann’s 1877 piano trio seemed an obvious companion piece. Eggner does not subscribe to the theory that women write a different kind of music from that written by men. 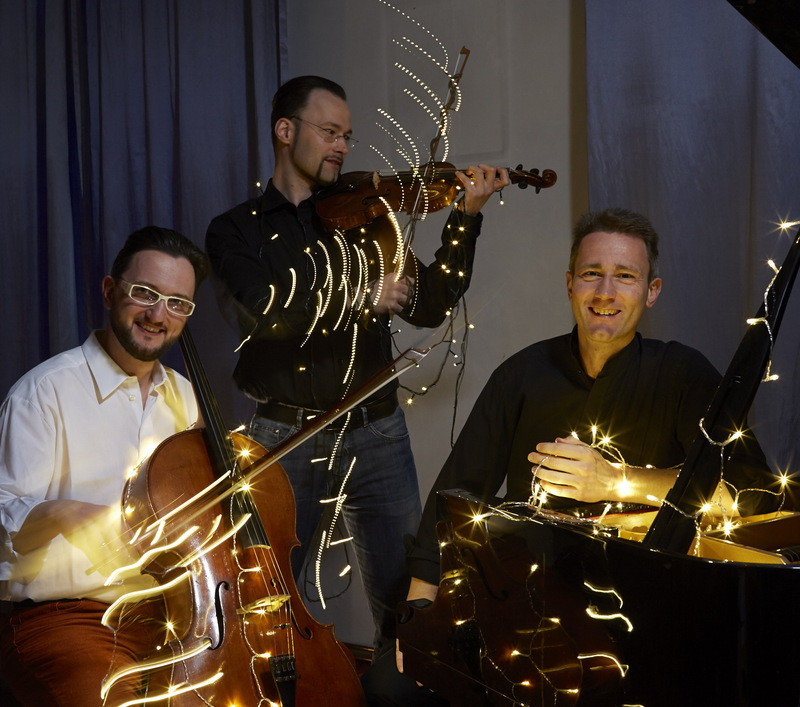 For their tour programmes, the trio has paired Clara Schumann’s calm music with the tortured score of Robert Schumann’s 1851 third piano trio, a work composed when the author was depressive and syphilitic. “It’s an unruly piece, not easy,” says Eggner. “I don’t think he suffered from bipolar disorder. I think he was just a normal, busy man, and later, when his illness emerged more and more, he started to change. “The madness is not easy to follow. It’s a sort of organised chaos. Sometimes he demands impossible things – like one piano piece where he writes, ‘play as fast as you can,’ and then a few bars later he writes, ‘faster.’ He is constantly working on the edge of what is possible. “There are of course lovely moments in this trio, but there is always this swing from one extreme to the other, and the grey zones in between. And the later you go with Schumann, the more grey you find. Schumann’s tendency to demand the impossible brings with it a high element of risk for the performers. Risk entails an inevitability of failure, at least occasionally. “It’s more important to convey the message than it is to play perfectly,” says Eggner. “I think the idea of playing perfectly is a 20th-century notion. I think people used to be more focussed on the message. “Of course taking risks does not mean that you will always make mistakes. Even if we are jet-lagged or unwell, our minimum standard should always be as high as possible, and our failures are usually so small that most of the audience will not hear them. After the concert, Eggner notes, the situation is different; the trio will go back over the evening’s events in minute detail, analyse the slips, and work hard on the passages to reduce the chance of a repeated mishap. Quality, one of Musica Viva’s four core values, is central to the trio’s work. Ask the members of a string quartet one by one to describe each other, and the results are bound to range from touching to riotous. After eleven years on the international stage as a professional string quartet, the young members of the Modigliani Quartet know each other intimately. Each of them finds a parallel to one of Musica Viva’s four core values in describing the nature of the others. Violist Laurent Marfaing sees the value of quality as an expression of the way his ensemble’s members work with each other. Cellist François Kieffer, he says, plays a similar role in real life to that of his musical line in most string quartets. First violinist Philippe Bernhard, he says, also lives as he plays. Kieffer, from his place as cellist, has similar yet subtly different views of his colleagues. Diversity, to Kieffer, is the value his quartet best reflects. For second violinist Rio, it is the value of challenge that sparks a flame of recognition. As if to demonstrate his point, he chooses descriptions of his colleagues that vary substantially from those of his peers. “As first violinist, Philippe is sensitive, and quite emotional, and somewhat obsessive, but that’s great. He’s the first thing people hear, the voice of the quartet, in a way. A complex, interesting person. 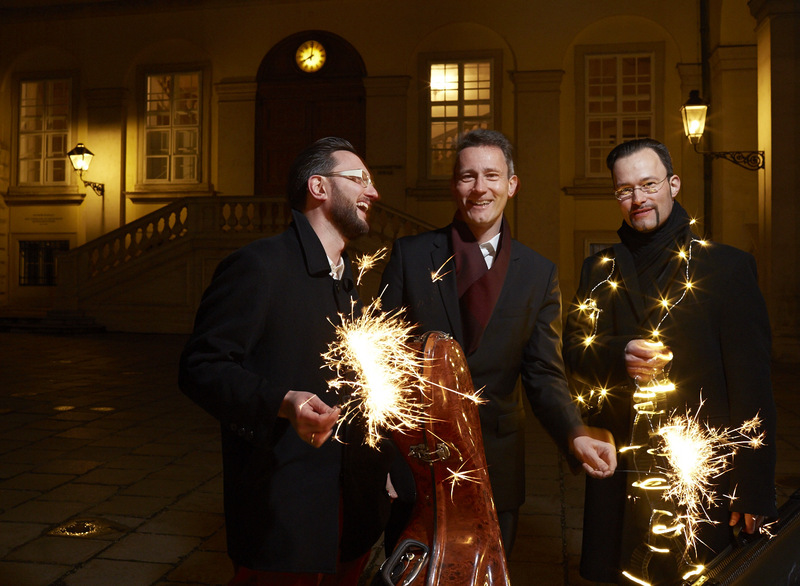 The quartet’s leader, Bernhard, sees a different side to violist Marfaing. Which makes him think about Musica Viva’s fourth core value, that of joy. All the players are unconditionally enthusiastic at the prospect of returning to Australia to tour for Musica Viva four years after their first tour with clarinettist Sabine Meyer. “It was one of the most beautiful tours we ever made,” says Bernhard. “To come back, for us, is very important,” adds Rio. 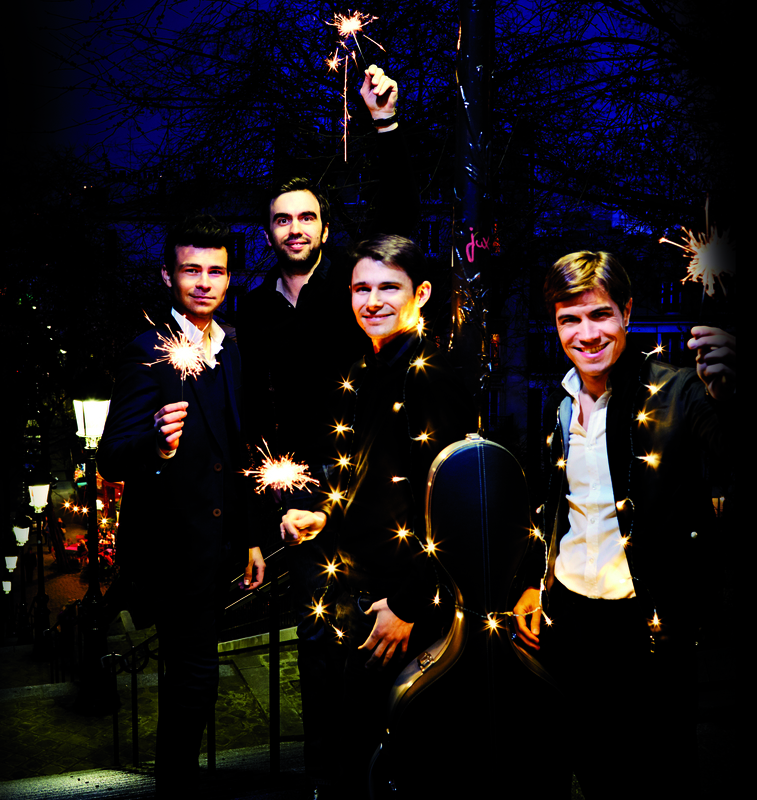 The Haydn and Schubert on the quartet’s tour programmes are pieces that lie well within the quartet’s core repertoire. “We love Haydn,” says Bernhard. “He is one of the first composers on whom we actually worked deeply as a quartet, while we were creating our personality, our sound signature. He’s very inventive, with a lot of humour – that’s why we were drawn to him. The Schubert works, says Rio, provide a contrast. Beethoven, by contrast, has not yet featured prominently in the Modigliani Quartet’s concerts. With Ernst von Dohnanyi’s third string quartet, the group makes a geographical diversion to the United States, where the Hungarian composer wrote the piece. Nigel Westlake’s second string quartet will be the quartet’s second venture into Australian repertoire. Choosing musicians for the International Concert Season is always a judicious balance between artists who are well known and much loved, and those new to Australian audiences but who deserve the chance to be heard. When we first presented the Modigliani Quartet on national tour in 2011 they were completely unknown here, and appeared as part of a musical marriage that we had engineered with the impeccable German clarinettist Sabine Meyer. To the great good fortune of everyone involved they got on incredibly well and made some magical music together. Since then the group’s international stature and musical prowess have continued to evolve, and we welcome back an even more confident and mature ensemble to conduct their first tour unaccompanied this October. The group is presenting two diverse programs that revolve around a remarkable Australian composition – Nigel Westlake’s masterful Second String Quartet, commissioned by Kenneth Tribe AC in 2005. Each starts with a Haydn quartet (nos 36 and 42 respectively) and includes a Schubert Quartet (nos 10 and 12). The closing works are vastly different – Beethoven’s Eleventh Quartet (op 95) and Dohnányi’s Third. Beethoven’s ‘Serioso’ Quartet precedes by a decade the famous collection of ‘Late Quartets’ that form such a compelling compendium of the great man’s last few years of creation. It is, even so, a radical work that the composer himself considered too experimental for general consumption, though now it sounds not only convincing but also deeply satisfying. 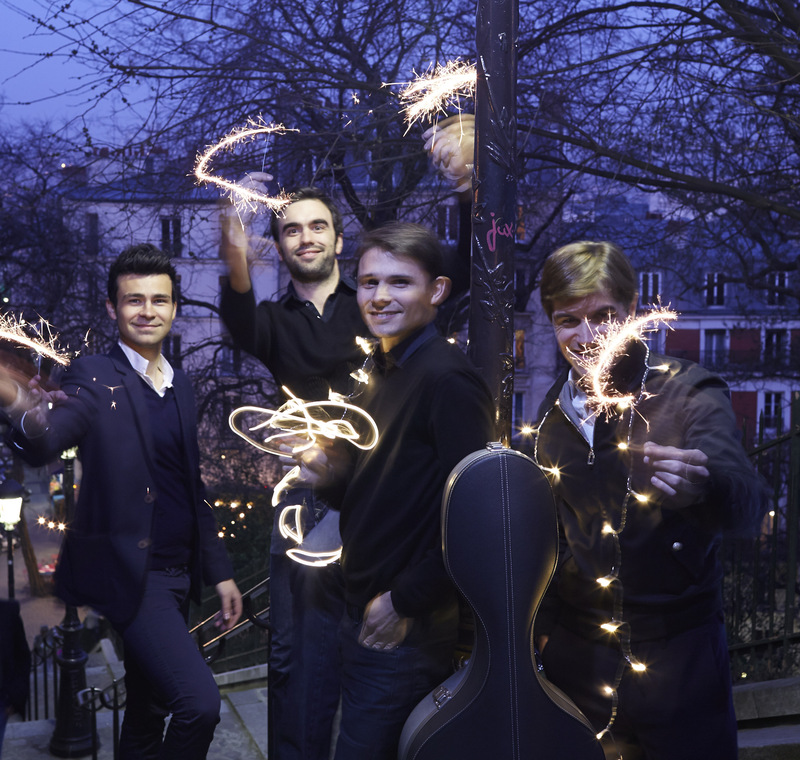 Dohnányi wrote only three quartets, which are rarely performed, and it is gratifying to see the finest and last of these championed by a group as talented as the Modigliani Quartet.